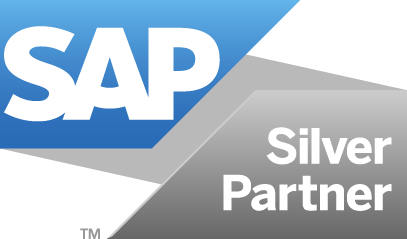 Having decided to implement SAP the client had engaged the services of a consultancy offering very attractive fee rates. They felt comfortable in this choice, because they felt that the basic SAP suite was surely not the ground breaking technology it once was. However, after 2 years of work, the programme had failed an audit of readiness to go live, twice! The consultancy then conducted an exercise to re-plan the programme and identify functionality which was defective, insufficient and even missing. They concluded that a further 3-4 months’ development was required and rescheduled the stage gates accordingly. 2 weeks before the first stage gate review, there were still an estimated 600 hours of development work to do. The consultancy had less than 50% of the resources available to deliver within this time-frame. On the recommendation of project management consultants, the client asked Pivot to review the programme and then fix it if they could. Pivot immediately put in place their own ‘hybrid’ solution architect, a mix of programme and project manager with deep technical skills. His role was to lead the review of programme, check on the deliverables, provide quality assurance, general advice, guidance, and design authority and to bring in other Pivot specialists as and when required. This included a basis consultant, who conducted a quick system health check to ensure it had been appropriately sized and that performance response would be adequate during peak loading periods. On the development side the Pivot team quickly assessed the priorities to be addressed. Bringing their deep experience and knowledge of SAP to bear, they were able to identify where development work was not necessary. For example, 60 hours of development work had been budgeted for something which was available within standard SAP functionality. It took the Pivot consultant 30 minutes to implement. Where significant development work was required, the Pivot consultants rolled up their sleeves and got the job done well within the budgeted timeframes. What remained was a manageable list of tasks, which the original consultancy could do with Pivot’s guidance. The work was completed 2 days before the scheduled gate review and the whole programme was back on track. Further down the line, user acceptance testing threw up a number of issues. Once again the Pivot consultants were engaged to review these. Bringing their deep experience of business process to bear and engaging the services of a specialist testing agency, the Pivot team quickly identified and addressed the real show stoppers. Most of these were to do with the short shelf life of the foodstuffs involved, the sheer volume of orders and the constant flow of last minute amendments to those orders. Delivery notes had to be modified to match the products picked and loaded before the vehicles could be despatched. At this stage variations in production output as well as changes to customer orders might require last minute product substitutions. The client’s legacy system took 12 minutes to effect the changes to the delivery documents. The new SAP interface was taking hours to achieve the same thing. Pivot consultants re-designed the interface to achieve an average time of 4 minutes to effect changes. The big 5 retailers place their order via EDI. Issues were identified and rectified by Pivot and by the acquisition of specific hardware, recommended by Pivot. Smaller customers had regular standing orders in place, which they were able to modify at short notice if necessary and subject to applicable product lead times. The legacy system gave the customer service team in the client a view of a full 7 days of orders for each customer. One screen showed the long term standing orders and another the modified orders for the current week. Customer services representatives could make note of the changes required and effect after the call. If there was a problem of lead times, the customer service representative would call the customer back to discuss and resolve. The new SAP solution did not provide the 7 day view of all orders by customer. Customer service personnel would have to plough through each of the individual orders to identify the one to change. This was clearly impractical for an already fully engaged and highly efficient team. The Pivot consultants designed a 1 screen view which showed all the standing orders, all the modified orders and the applicable lead times. What’s more, customer service representatives could now overwrite and therefore modify the orders with the customer on the line. A successful go live with finance and purchasing modules was quickly followed by logistics. The client asked Pivot consultants to provide cover for the go live over a weekend. It proved to be one of the most uneventful weekends of their working lives!